Great opportunity for first time buyers or investors. Corner location bachelor suite with a quiet, outlook courtyard, trees and garden area. Lots of light with windows from two sides plus a 157 sq ft deck and a 2nd balcony. Requires paint and flooring but priced accordingly. 2012 Building Envelope Restoration completed with warranty including windows & patio doors, new roof & balcony membranes. 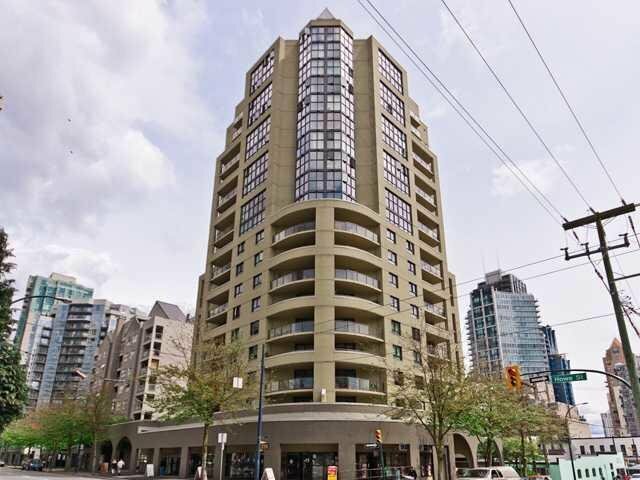 Located in the heart of Downtown Vancouver, just steps to shops, restaurants, theaters, beaches, Yaletown and more. Rentals allowed, no pets, well equipped laundry for the building and parking can be rented for $50/month.